Police say a woman was killed and they believe the suspect and victim knew each other. 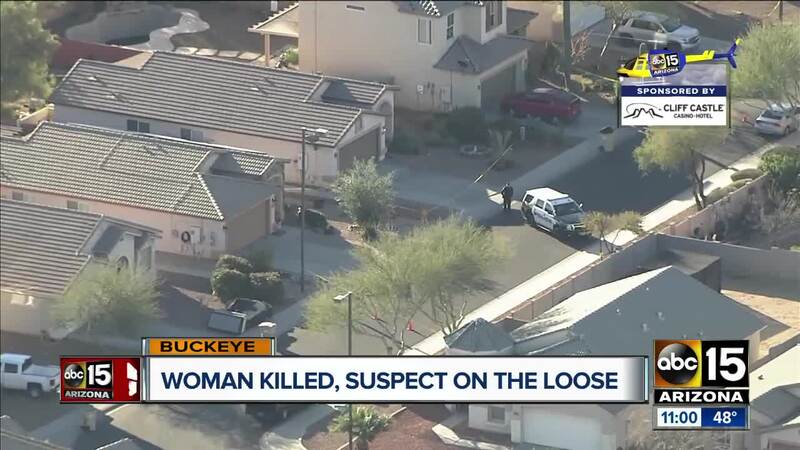 BUCKEYE, AZ — Buckeye police are investigating a homicide involving a 69-year-old victim. Officers received a call around 2:30 a.m. for an unknown trouble at a home near MC-85 and Baseline Road. At the scene, police found 69-year-old Sally Haese at her home with critical injuries. She was taken to the hospital where she later died. Police say the suspect, later identified as 29-year-old Roxanne Lararmart, fled the scene on foot before officers got on scene. Police are currently looking for Lararmart who is a known transient in and around the downtown Buckeye area. It is not known if whether or not Lararmart is armed. Police believe that Lararmart and Haese knew each other, but did not reside together. If you have any information on Lararmart's whereabouts call 911 immediately or the Buckeye Police Department's tip line at (623) 349- 6411 or e-mail bpdtips@buckeyeaz.gov.